On Saturday and Sunday, April 16, 2016, the Center for Remote Sensing of Ice Sheets (CReSIS) sponsored a professional development experience and a STEM field trip for public school teachers, university mathematics and computer science students, and other students from local schools. 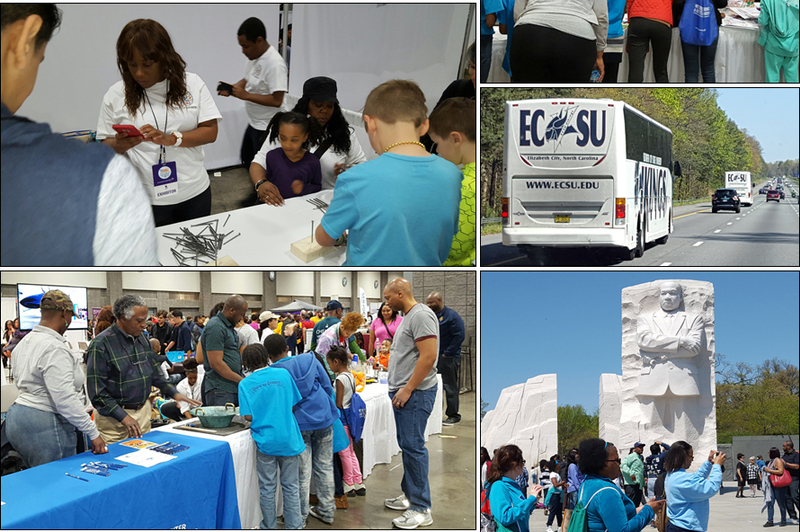 Over 100 youth and parents from the Hampton Healthy Family Partnership in Hampton, Virginia and Samuel Chapel Baptist Church in Elizabeth City, North Carolina participated in the 4th USA Science and Engineering Festival (http://www.usasciencefestival.org/). The 4th USA Science & Engineering Festival, the largest and only national science festival, featured nationwide contests and school programs, including the popular 'Nifty Fifty' science speaker program and X-STEM Symposium, and culminated in a Grand Finale Expo on April 16-17, 2016 at the Washington Convention Center. About 365K people of all ages attended to celebrate science with over 3000 fun, hands-on activities, more than 30 stage shows, and some of the biggest names in STEM.